Resident Evil 7 feels like the good old Resident Evil we remember, but at the same time, it feels like something completely new that we have never seen before. When you think about this, it’s really something that’s hard to accomplish, considering how the series was thought to be dead after Resident Evil 6. Resident Evil 7 finally brings the game back to its roots. It is filled with horror, action and genuine intrigue that will have you coming back for more every time. Many people were skeptical when Capcom decided to change the traditional 3rd person view for the Resident Evil games to first person, to cater to the growing VR industry, but after having a go at it I can say for certain that the FPS gameplay only makes the experience a whole lot more enjoyable. Unlike the previous installments of the Resident Evil series, you aren’t just seeing the character through a third eye but rather through the eyes of Ethan, the protagonist of the game, who has to battle the Bakers to save his girlfriend, Mia. 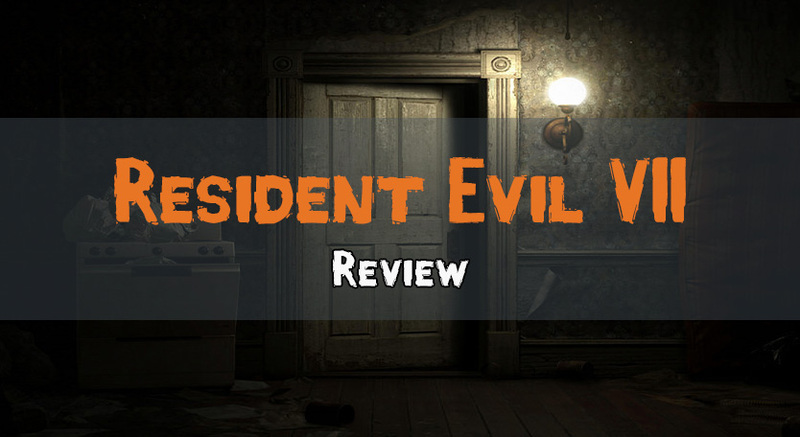 From the very start, Resident Evil 7 manages to establish a sense of helplessness that greatly aids in establishing an environment and atmosphere that has the players jumping from their seats at the slightest of sound. But don’t misunderstand, all that changes once you progress through a bit of the game and finally get a gun in your hand. Then, it’s time to shoot zombies and scourge while you run, and look in scary places to find spare bits of ammo that are scarcely distributed throughout the game. At first, Resident Evil 7 may look a lot like Outlast and Amnesia, but truth be told, it still feels like the same old Resident Evil game we fell in love with. Another new update to the gameplay is the crafting system. As the game progresses, you’ll find items that you will be able to use to craft ammo, health kits and other items. Resident Evil 7 is probably one of the few games that take full advantage of tech in new gen consoles to deliver a truly visually appealing gaming experience, which feels unique and yet beautiful. Resident Evil 7 provides PS4 Pro support with full 4K and HDR that further adds to the game’s already gorgeous textures and graphics. Once I started playing Resident Evil 7 on the PC at 4K and 60fps, I was truly stunned at how slick and smooth the movements and graphics were. The candles flicker in the dark with an intensity and motion that is seldom seen in games like The Witcher 3. Besides the gorgeous graphics, Resident Evil 7 manages to get another thing right – the sounds. Unlike other horror games, Resident Evil 7 doesn’t rely on jump scares, but rather delivers a scare with careful build up, while retaining the atmosphere of fear throughout the game. I’m walking down a corridor, the music starts picking up, making me believe that something is going to happen – but nothing happens – and then it does! Resident Evil 7 is a terrifying game even without the VR, so can you imagine how much the fear factor increases when you are really there? A LOT! As I was playing Resident Evil 7: Biohazard, I was sitting on my couch, all laid back, and in the next 2 or 3 minutes I was yelling my guts out. This game in VR is not for the faint of heart. Resident Evil 7: Biohazard doesn’t try to be excessively scary or focus on the survival aspects of the game, it just somehow finds the perfect blend for us to enjoy. It’s the first game on VR which actually lasts more than a couple of hours and feels like a complete game, with a story. Resident Evil 7, by all accounts, is one of the best games in the series, and probably of 2017 as well. From the story, to the graphics, to the sound, everything is well done and well thought out, which results in such a great game.